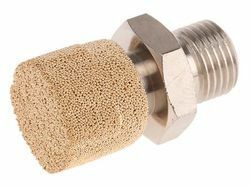 We are a vital association that is occupied with offering prevalent quality Brass Threaded Silencer for Air Tools. The extent made accessible by us is fabricated remembering the variegated necessities of our regarded clients. To make these silencers, we make utilization of great material that is sourced from solid sellers of the business sector.Bronze Brass Threaded Silencer For Air Tools are Lead Contaminant Free leading to superior qualityThreaded Pipe Fittings is a fully backward integrated manufacturer with complete control of raw material used to generate unbeatable quality. 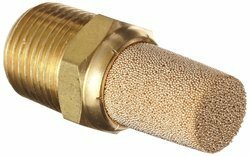 Looking for Brass Threaded Silencer for Air Tools ?